In both cases the Explore license allows for 3 free conversions per month the Professional license for 10. For further details take a look at the pricing info. 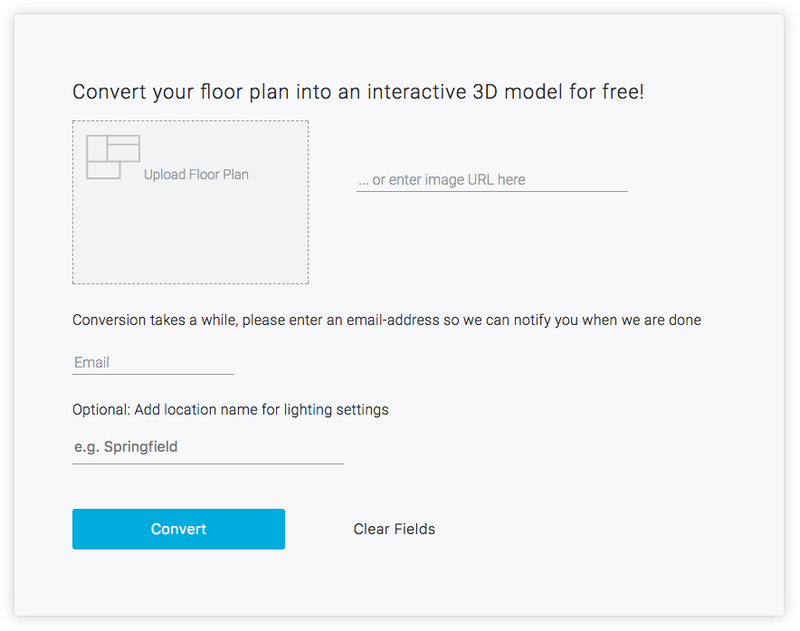 io3d.floorPlan.convertToBasic3dModel() allows you to send a request to our conversion API from a custom node server. The result is not instant but can take up to 12 hours. This is why you need to provide a callback url from your node server to receive the callback when the conversion is finished. In case of success you get the sceneId which you can send to your customer as a url or use it to further process the scene. This project showcases a reference implementation to let users order 3D models from floor plans through a custom UI and sending email notifications on conversion updates. sendgrid to let users order 3D models from floor plans through a custom UI and sending notifications on conversion updates.